BBQ CUPS. Is what my WHOLE family will swear by if you ever need a recipe idea. These bad boys are SO easy to make and they are super delicious. You don’t even need a grocery list when you go to get these 5 ingredients! 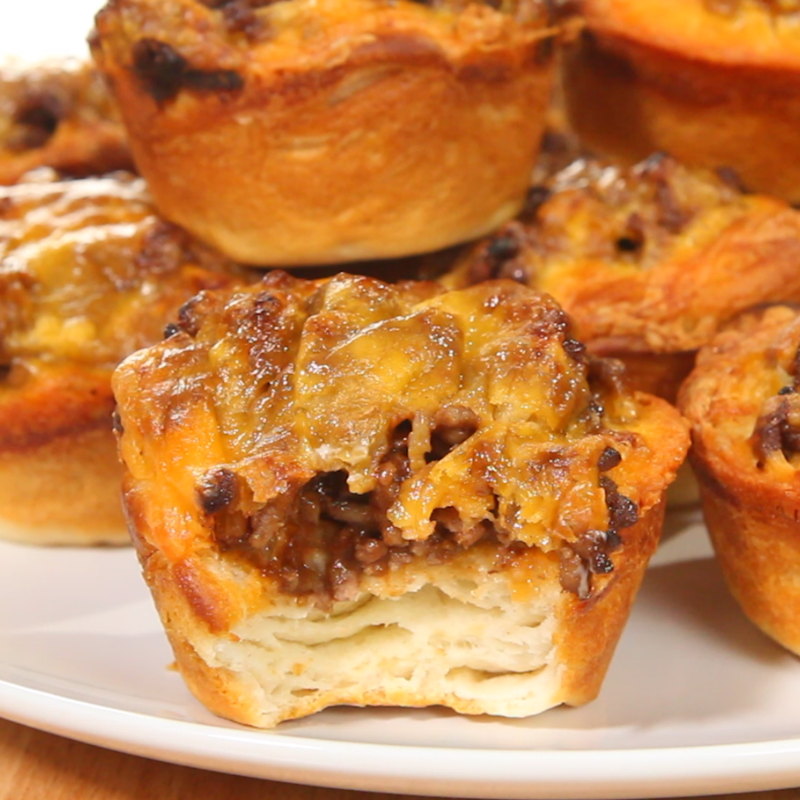 Behold BBQ CUPS: The most delicious meal you’ll ever make in less than 20 minutes! 2. Spray muffin tin with nonstick cooking spray. 3. In large pan, brown and crumble ground beef. 6. Put beef back in the pan. 7. Add BBQ and minced onion. 9. Separate biscuits and place into muffin tins. 10. Press dough along the sides of the tins. 11. Divide meat between muffins. 12. Sprinkle each one with cheddar cheese. 13. Bake for 10-12 minutes until biscuits are golden brown and cheese is melted.